The search for the perfect place ends at this amazing location with spectacular bay views. 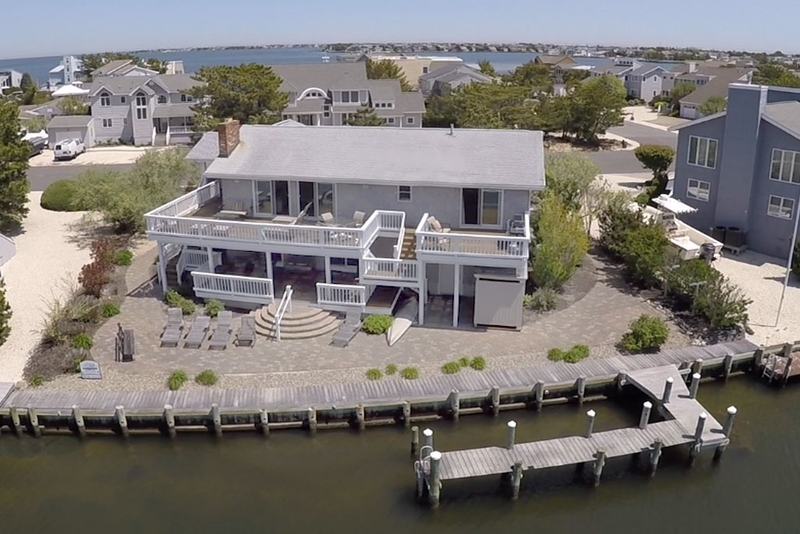 The 90 feet of bulkheaded frontage on Barnegat Bay and deep water large dockage offers the perfect retreat to enjoy boating, sailing, and all your water toys on this very desirable High Point Section of Harvey Cedars. The reverse living design captures bay and harbor views while featuring 5 bedrooms, including 2 en suite, 3 full bathrooms, powder room, and 2 family rooms. Open living spaces, superb decking with sunny southern exposure and a large screened porch for gathering with family and friends will allow for all your dreams to come true. Beautiful landscaping with pavers all around. Addition designed by Jay Madden in 2009. Cedar shake siding added in 2009. Direct beach access across the street.